A ‘Happy New Year’ news story from Peter Schiff…one of the earliest predictors of the ‘pop’ of the housing bubble. Schiff notes that some economists anticipate a further correction, but most don't believe that the vicious correction of 2007 and 2008 could return. To counter, Schiff notes that many underestimate how distorted the market had become. From the start of 1998 through the middle of 2006, arguably at the peak of the market, the Case-Shiller 10-City Index rose an astounding 173% at 19.2% per year. Schiff notes that we now know that the gains had little to do with fundamentals and more to do with "distortionary government policies that mandated loans to marginal borrowers, and set off a national mania for real-estate wealth and a torrent of temporarily easy credit." One of the co-founders of the Case-Shiller index, Robert Shiller, contends that home prices, from 1900 - 2000, followed a more muted 3.35% average growth rate, which included the Great Depression, post-war eras, and the boom of the 90's. So, Schiff notes that in 1998, the Case-Shiller index was at 82.7. Following the 3.35% average annual price increase predicted by Shiller lands us at a point of 126.7 in October 2010. However, the Case-Shiller Index came in at 159.0, suggesting an additional 20.3% decline in the index to get it back to more normalized levels. Schiff continues that no one is making a case that fundamentals have gained traction, and most point to government intervention as an artificial stop to the free fall. Programs like "the home buyer's tax credit, record low mortgage rates, government mortgage-assistance programs, and the increased presence of Fannie Mae, Freddie Mac and the Federal Housing Administration in the mortgage-buying business" have put the kibosh on falling prices for now. But, contends Schiff, with "bloated inventories, 9.8% unemployment (and much higher REAL unemployment), a dysfunctional mortgage industry and shattered illusions of real-estate riches, does it makes sense that prices should simply fall back to the trend line?" He argues that they will overshoot to the downside. So what's the outcome? A major market correction in the next year. Schiff thinks not, rather that there may be potential for an additional 10% dip below the 100-year trendline in the next five years, especially if mortgage rates continue upwards to more historical rates of 6% or more. He notes that that would put the index at 114.02, or about 28.3% below where were at now. Even a 5% dip would put the index at 120.36, about 24.3% below current levels. Concluding, Schiff comments that, "In trying to maintain artificial prices, government policies are keeping new buyers from entering the market, exposing taxpayers to untold trillions in liabilities and delaying a real recovery. We should recognize this reality and not pin our hopes on a return to price normalcy that never was that normal to begin with." 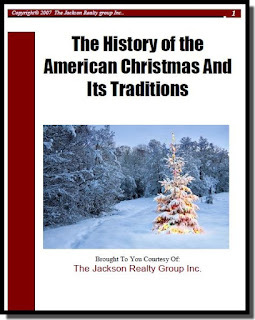 I have put together a report...a quick read...with many interesting stories and details regarding the possible origins of contemporary Christmas traditions. Click on the image and read or download the entire booklet if you like. Feel free to pass it along to others too! Has anyone seen my $3.3 Trillion? Finally, one of the big franchises goes public with something I've been saying for years! And this is why I opened a small, personalized office long ago...I realized that it was me, my wife and our like-minded agents that our clients were hiring...not some company logo. I don't think many realty companies, large or small, make ANY promise to the consumer other than vague platitudes "we are the biggest/we sell the most etc., nothing like "we hire only the most highly skilled/we fire the bad agents...you know what I mean. And the ones that do make consumer based promises often do absolutely nothing to actually KEEP AND ENFORCE that promise, from recruiting, to rules, to marketing, to service standards. But it is refreshing to finally see one of the big guys admit what the consumer already knows: It is the AGENTS, not the company. 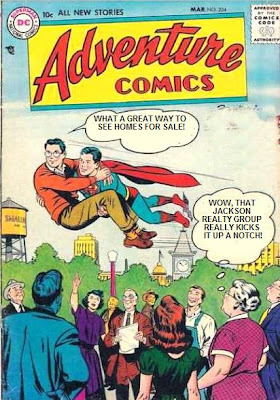 All of the big franchises say that they have the best agents...etc, etc. But if you've ever gone on an interview as a real estate agent, you would know that there is never a competency test, ethics test or any kind of test for that matter. As a matter of fact, it is usually a 'reverse' interview...with the agent deciding whom THEY want to go work for. It's almost: If you have a license, you have a job. "GET READY FOR THE GREAT MERS WHITEWASH BILL"
"Wall Street money is pouring into the coffers of those who are receptive (i.e., almost everyone in Congress). The legislation is already being drafted under the interstate commerce clause to ratify MERS and everything it did retroactively. It appears that the Obama administration is ready to pardon all the securitization deviants by signing this bill into law. This information is corroborated by several people who are in sensitive positions — persons who would be the first to know such proposals. Fortunately, there are some people in Washington who have a conscience and do not want to see this happen." John Carney, CNBC--"When Congress comes back into session next week, it may consider measures intended to bolster the legal status of a controversial bank owned electronic mortgage registration system that contains three out of every five mortgages in the country. The system is known as MERS, the acronym for a private company called Mortgage Electronic Registry Systems. Set up by banks in the 1997, MERS is a system for tracking ownership of home loans as they move from mortgage originator through the financial pipeline to the trusts set up when mortgage securities are sold. Now it appears that Congress may attempt to prevent any MERS' meltdown from occurring. MERS is owned by all the biggest banks, and they certainly do not want it to be sunk by huge fines...And be subject to court challenges on mortgage ownership by foreclosure defense attorneys. Investors in mortgage-backed securities also do not want to see the value of their bonds sink because of doubts about the ownership of the underlying mortgages. Remember, this is the SAME Congress that "almost" passed the "Notarization Act" by voice vote and it reached Obama's desk. We will never know who voted for it, as a voice vote is not recorded, and it flew threw BOTH House and Senate. So it looks like the stage may be set for Congress to pass a bill that would limit MERS exposure on the recording fee issue and perhaps retroactively legitimize mortgage transfers conducted through MERS' private database...."
Standard & Poor’s, known as a leader of financial market intelligence, has revised estimates for when we can expect this much-talked-about shadow inventory to clear up. S&P now estimates that it will take 41 months—or nearly three and a half years—to get through and sell off all that shadow inventory lurking in the national real estate market background. This number is up drastically from it’s assessment a year ago when it estimated it would take 33 months to complete this process…(That’s 25% longer than their last estimate and these guys are the “leader in financial market intelligence”?) S&P’s report states that the growth in the nation’s shadow inventory is affecting the housing market in three ways. First, low liquidation rates are artificially skewing the visible supply of these distressed properties on the market. Second, this ever-growing inventory is having a negative affect on existing home prices. And finally, home prices will only begin to stabilize once this shadow inventory backlogged is cleared out. Rather than repeat the entirety of all three recent posts that attempt to explain this recent foreclosure mess/fraud...here are the links to the actual posts over on my Winston Trails blog. 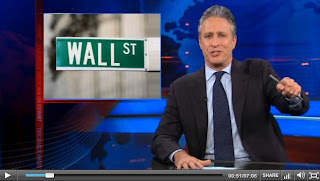 Be forewarned...this IS a Jon Stewart video...make sure no one easily offended is watching over your shoulder! In addition to the as many as 8 million properties vacant or in foreclosure, owners of another 3.8 million homes -- 5 percent of U.S. households -- said they are “very likely” to put their properties on the market within six months if there is improvement, according to a survey</a> by Seattle-based Zillow. WHY IS THE BANK FORECLOSING IF I AM DOING A SHORT SALE (OR LOAN MODIFICATION)? A local attorney who counsels many of our clients, Richard Zaretsky, has just posted this excellent article on his blog. It answers the very common, but perplexing question posed above. Do We All Have A Common Goal? Do all short sellers cooperate with the short sale process? The answer is a resounding NO. The short seller is typically living in the house "for free" and is not all that interested in moving out and paying rent. Therefore, short sellers are notoriously delay oriented. Banks believe this to be a fact. I Want To Stay! Loan Modification borrowers are in a somewhat different boat. They don't have any plan to move out of the house as they want to modify the loan to something more affordable. They Want WHAT!?!@? Short Sellers and Loan Modification borrowers have something in common - they have to accept the lender's terms of the short sale or loan modification or face loss of the home through foreclosure. The alternative of the loss of the house in foreclosure is usually not an desirable option. The lender can never be sure that (a) the buyer in a short sale is not going to walk away from the sale at the last minute, (b) the seller will accept the demands the lender conditions the short sale approval upon, or (c) the borrower will accept the loan modification terms offered by the lender (if any are offered at all). Hurry Up and Wait? So knowing or believing all the above, if you were the lender and you knew that from start to finish the mortgage foreclosure process was going to take 300 to 700 days and the short sale or modification may or may not end up successful, would you wait 3 or 5 months for a short sale contract or for the borrower to submit complete loan modification information - BEFORE you started the clock on the foreclosure process? OF COURSE NOT! Therefore, even if you have a good faith intention to proceed with a short sale or loan modification, the lender will NOT stop a pending suit or delay filing an otherwise ripe suit for foreclosure. The result is one hand of the lender pursues solutions with the borrower and the other hand of the lender pursues solutions against the borrower - all at the same time. Remind Me To Stop Before I Drive Off the Cliff! Even the HAFA and HAMP programs have guidelines for participating lenders that state that the lender will not have to stop the foreclosure process - but only that if a borrower is accepted into the processing of under HAFA or HAMP, the lender will not actually have the foreclosure sale! But they can go all the way to getting a foreclosure sale date set! So if you are trying a short sale or modification, don't be surprised when the Sheriff rings your doorbell at 6 a.m. with a subpoena and summons and complaint for foreclosure even though the nice people at the bank are helping you in your "solution". If you are 90 days or more late (typically), you should expect that visit and introduction to your foreclosure complaint very very soon. And once you get served BE SURE TO IMMEDIATELY CONTACT YOUR ATTORNEY TO DISCUSS THE FORECLOSURE AND WHAT SHOULD BE DONE ABOUT IT. Read Richards entire article here: WHY IS THE BANK FORECLOSING IF I AM DOING A SHORT SALE (OR LOAN MODIFICATION)? Freddie Mac expects 4 million new and existing home sales in the third quarter, a possible 20.7% decline from last year and 23% drop from the previous quarter. Kondaur (distressed note buyer) chief executive Jon Daurio joined Moody's Investors Service analysts saying he expects prices to fall another 20%…Daurio said he expects the drop to occur over the next three years. Working on the inside of this industry, it is easy to see through the smoke and mirrors being used by the TBTF (too big too fail) lenders when it comes to "extend and pretend". They will do what is in THEIR best interests regardless of public statements to the contrary. I have seen too many borrowers taken advantage of when attempting to negotiate a forebearance or loan mod without professional and legal assistance. The banks are no better than low-life debt collectors that will say anything to get some more money out of someone. But now, people have had enough and it is getting some national press...consumers are suing the banks for not following through on loan mod committments. If you have ANY questions regarding your loan, please give me a call. I promise that if I don't know the answer or solution right away, I will find out or point you in the direction of the person who does know. My direct line is 561-602-1258. Home prices are still 10% too high! Says who? ...those looking to sell houses are advised not to listen to the interview, as the co-creator of the Case-Shiller Home Price Index also added that he is worried housing prices could decline for another five years. He noted that Japan saw land prices decline for 15 consecutive years up to 2006. More than 7.3m mortgages in the US are non-current or in REO status through March 2010, according to the Lender Processing Services (LPS) Mortgage Monitor report. Almost 900,000 loans that were current at the beginning of the year are at least 60 days delinquent or in foreclosure as of July, according to the July 2010 month-end report released by Lender Processing Services'(LPS). 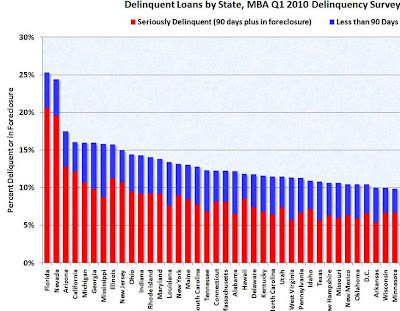 How long these loans are staying in the foreclosure process is stretching out as well. The average number of days a loan spends delinquent before it is finally forecloses reached 469 days in July, about a year and three months. In July of last year, the average was 351, more than three months shorter. The total amount of loans in the foreclosure inventory passed 2 million in July, a 3.5% increase from a year ago, and 2.1% more than the previous month. The amount of foreclosures making it to REO status is picking up after diving earlier in the year. LPS reported nearly 100,000 REO properties in July. The level of foreclosures starts in mortgages owned by Fannie Mae and Freddie Mac, the government sponsored enterprises (GSE), is at its highest point ever in 2010 as the rate of new foreclosures continues to increase. REO levels in July reach second highest point ever: RealtyTracIn July, 92,858 properties went back to the banks as REO, the second highest monthly total since RealtyTrac, an online foreclosure marketplace, began tracking them in April 2005. My point in posting these headlines...We've got a ways to go. The TV 'experts' continue to trivialize every negative report on housing in an effort to keep the DOW above the magic 10,000. Having no job or a tenuous job status does not translate into a desire to buy a home (or to keep paying on a home that is upside-down). If you are thinking of selling...do it now; if not, you need to be in for the long haul. If you are thinking of buying, you, too, need to be in it for the long haul. As you have probably ascertained if you have read even a small number of my posts, I am not your typical "toe-the NAR-propaganda-line" agent. If you are a homeowner and want to have an honest discussion about the current market...call me. If you are thinking about buying now, also, lets talk and see if that is the best decision for your circumstances. My direct line is 561-602-1258. If I don't pick up, please leave me a message. Experts and news outlets surprised: Home sales plunge! But if you read this blog…YOU shouldn’t have been surprised at all. I have been counseling my sellers for many months now…you want to be the NEXT home to sell! 1) Sales of previously occupied homes plunged last month to the lowest level in 15 years, despite the lowest mortgage rates in decades and bargain prices in many areas. July's sales fell by more than 27 percent to a seasonally adjusted annual rate of 3.83 million, the National Association of Realtors said Tuesday. It was the largest monthly drop on records dating back to 1968, and sharp declines were recorded in all regions of the country. 2) With home sales plunging to their lowest level in 15 years, economists warn that a double-dip in housing prices is just around the corner, threatening to further slow the overall recovery. Existing home sales sank 27.2% in July, twice as much as analysts expected, to a seasonally adjusted annual rate of 3.83 million units. Much of that drop is attributed to the end of the $8,000 homebuyer tax credit. Sales of single-family homes, which account for a bulk of the transactions, are at the lowest level since May 1995. Inventory has also continued to climb, rising 2.5% to 3.98 million existing homes for sale. That represents a 12.5-month supply at the current sales pace, the highest since October 1982 when it stood at 13.8 months. A six-month of supply is considered normal. Chart of existing home sales…watch out for that falling knife! Still want to listen to the ‘experts’? Are you a renter living in a property that is in foreclosure? This is a must read! Here’s the gist: The Tenanct Act is a federal law that gives renters living in a house that gets foreclosed on 90 days before they can be evicted. If there is a bona fide, arms-length lease, AND THE LEASE WAS IN PLACE PRIOR TO THE FORECLOSURE ACTION BEING FILED, the lender or investor, or its servicer intermediary, cannot evict until the lease is expired or the renter breaks the lease. Effective May 20th, tenants with a “bona fide” lease that was entered into before notice of foreclosure can remain in a foreclosed home until the end of their lease, unless the bank sells the property to someone who intends to make it his/her primary residence. If the new owner intends to occupy the home, they are still required to give 90-days notice to the tenant prior to eviction. If the tenant does not have a lease (month-to-month) or current state law allows the lease to be terminated at will, there is still a 90-day notice requirement prior to eviction. Notice must be provided by the “immediate successor in interest” which, in most cases, would be the bank or the new owner. (3) the lease or tenancy requires the receipt of rent that is not substantially less than fair market rent for the property or the unit's rent is reduced or subsidized due to a Federal, State, or local subsidy. Click HERE to read the actual legislation. As always, give me a call if you have any questions or comments regarding anything we blog about. 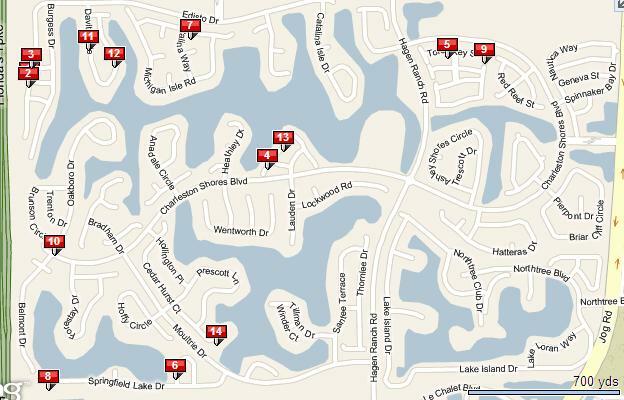 Lots and lots of homes in foreclosure in Lake Charleston...and lots more to come. Now, just because I report them as "foreclosures" does not mean that they are owned by the bank and are for sale for pennies on the dollar....at least not yet. 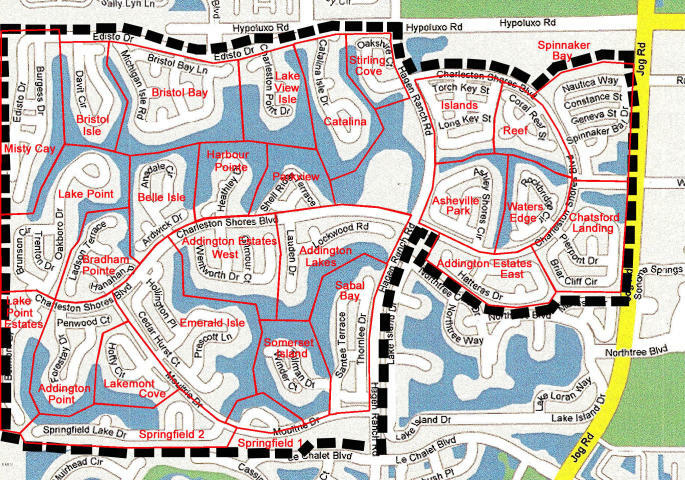 What it means is that these homes have a Lis Pendens filed on them. From Nolo Law Dictionary: Lis Pendens: Latin for "a suit pending." A written notice that a lawsuit has been filed concerning real estate, involving either the title to the property or a claimed ownership interest in it. 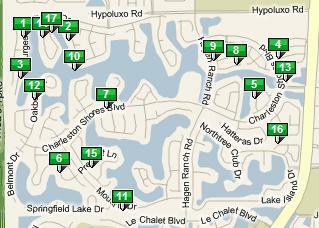 There are currently a whopping 178 Lake Charleston homes reported to be in foreclosure as of today. A few of the ones on this list have already been taken back by the bank at the courthouse sale. Below I will report them by street, alphabetically. If you would like to see some of the other cutting edge marketing we employ to get our clients top dollar...even in today's difficult market...please call me now at 561-602-1258. Every day, from cable news to the local paper, we are told that inflation is coming...then the next expert says we are in a deflationary spiral...what does it all mean and whom do we believe? Prices declines are occuring in goods/services sectors backed by debt resulting from contracting credit...things that you would normally use a loan/credit to buy (deflation). Price increases are occurring in goods/services sectors acquired with money resulting from increasing money supply (inflation), (things like food, utilities, gas for the car, etc ). Ben can print money 'til the cows come home, showering every citizen with $10k, $100k, $1m per year/quarter/month. All that will happen is a direct escalation in prices of assets not backed by debt. Price increases for items backed by debt will not resume/recur until there is an underlying organic demand for credit and a corresponding easing in credit terms (inflation). That is, the so-called final (ie private) demand. The Home Affordable Foreclosure Alternatives (HAFA) Program is a government-sponsored initiative led by the US Treasury Department, administered by Fannie Mae with Freddie Mac as compliance agents, and executed by participating lenders to help homeowners avoid foreclosure, specifically through short sales or deeds-in-lieu. Who can participate in the HAFA program? The participating servicers must assess a borrower for HAFA if they request to short sale or deed in lieu under the terms of HAFA. They must also consider a homeowner for HAFA within 30 days of not qualifying for a HAMP (Home Affordable Modification Program) modification, having not successfully completed a HAMP trial period, or having missed at least 2 consecutive payments on a HAMP modification. If a homeowner had asked the servicer to allow them to short sell under the terms of HAFA, the servicer is required to first offer them a loan modification or retention program first. Can sellers trying to do a HAFA short sale also be asking for a HAMP modification? The two cannot be done at the same time. It is a requirement of HAFA that a homeowner is not participating in a HAMP program. Does the homeowner have to live in the property to be considered for HAFA? What loans are not eligible for HAFA short sales? What lenders are participating in HAFA? As a rule, lenders already participating in the Home Affordable Modification Program (HAMP) are participating in HAFA. For a full list of servicers participating in HAMP, visit Making Home Affordable Participating Servicers List. HAFA is set to expire December 31, 2012. Like other government initiatives, if the program is successful, it may be extended. I heard that Approvals only take 10 days. Is that so? This is a misconception and a truth. HAFA speeds up the short sale process by putting in distinct timelines. One such time-line is servicer response to a completed application no later than 10 days after submission. The longest amount of time you should expect a HAFA short sale to take is 5 months. At the servicer’s discretion, the program can be extended up to 12 months. Do HAFA short sales require an agent list the property? YES. All HAFA short sales must be listed by an agent. Do the seller’s get an incentive? YES. HAFA will provide sellers up to $3000 for Relocation Assistance if they complete the HAFA short sale or deed in lieu process. Only one payment per household is given. Who completes the Short Sale Agreement ? This form is completed in cooperation with the listing agent so that the servicer knows that the agent agrees to the HAFA program terms and conditions. Are their tax and credit consequences from a HAFA short sale or deed-in-lieu? The difference between the remaining amount of principal owed and the amount that the servicer receives from the sale must be reported to the Internal Revenue Service (IRS) on Form 1099C. It will be reported as debt forgiveness that could be taxed as income. The $3,000 Borrower Relocation Assistance could also be taxable. Sellers need to be aware of the income tax consequences and/or derogatory impact on credit that may come with a short sale or deed-in-lieu. Sellers should always consult a tax accountant, the IRS and appropriate legal counsel to determine potential liabilities and to explore other options. This blog is designed to provide information in regards to the subject matter covered. 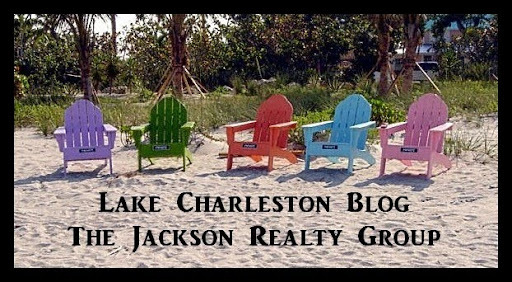 The Jackson Realty Group Inc, any of its founders, employees, contributors, staff, affiliates are not to be held liable for information shared. Readers are encouraged to verify all information posted and use at their own risk. Mortgage applications at a 13 year low...so why is that important? The Mortgage Bankers Association reported that demand for loans to purchase U.S. homes sunk to a 13-year low last week, and refinancing demand also slid despite near record-low mortgage rates. Requests for loans to buy homes dropped 3.1 percent in the week ended July 9, after adjusting for the Independence Day holiday, to the lowest level since December 1996, the Mortgage Bankers Assn. said....Rock-bottom borrowing costs are helping borrowers with pristine credit to buy and those who still have equity in their homes to refinance. Take a look at this statistic and chart below: The refinance share of mortgage activity remained constant at 78.7 percent of total applications…so, at a 13 year low number, only 21% of the mortgage applications were for new purchases! On an unadjusted basis, the volume of purchase applications is 43% lower than the same week last year! If even at sub-5% rates buyers are not interested, what’s going to happen to buying interest if (when) rates go up? Unemployed people do not buy homes. People who have had their hours or salary reduced 20-30% do not buy homes. People with a credit score of 599 or less (25% of the population) do not qualify to buy a home. People who lost 30% of their home equity can not sell their existing home to buy a new one. Where I see the most activity (and a lot of multiple offer situations) is in the sub $150k range…where you can buy and have payments less than a comparable rental. Maybe this is what will happen going forward in all price ranges…activity and competition will greatly increase when the home price/mortgage rate equation delivers monthly payments at or close to what it would cost to rent a comparable home. And, it does not, necessarily have to come from lower prices or lower interest rates….if rental rates increase, that will be the ‘flip side’ of the equation. Rising rental rates, in my humble opinion, are quite possible given the scary statistic of sub 599 credit score Americans. Going forward I can see many, many more people throwing in the “credit score towel”…we will have a decade of renters (and this could raise rental rates)…income reduction, job loss, foreclosures, bankruptcy…some times up to ten years to clear/restore your credit without taking affirmative credit restoration steps. If you’d like to discuss how this all affects your plans to sell or buy, please give me a call on my direct line at 561-602-1258. How about starting a 4th of July family tradition that doesn't include eating meat cooked outdoors or lighting fireworks? Below I have given you 4 links to 4 very important documents. Why not get the family/friends together and read and discuss what is actually behind this holiday. Certainly not all 4 at once...but maybe read the short Declaration of Independence before everyone starts dinner? 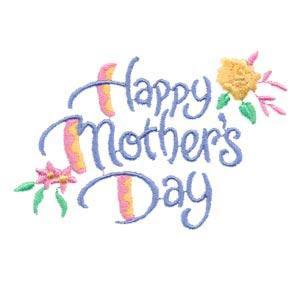 Enjoy the holiday...and be safe! The experts expected home sales to drop once the homebuyer tax credit lapsed at the end of April, but the depth of the decrease was shocking (only to the “experts”). According to the National Association of Realtors (NAR), pending home sales fell a whopping 30% in May. Their index, which measures signed sales contracts but not closed sales, plunged to 77.6 from 110.9 in April. It's even off 15.9% from a year ago when the nation was barely emerging from the recession. The pending home sales report is a disaster," said Mike Larson, a real estate analyst for Weiss Research. "Sales fell off a cliff after the tax credit expired. It's the biggest monthly decline ever and the index is at its lowest level since NAR began tracking it in 2001." 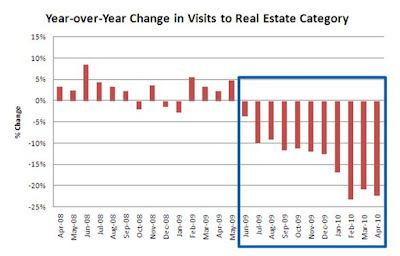 (As expected)…Lawrence Yun, NAR's chief economist, downplayed the damage a bit. According to him, customers rushed into deals to claim the credit, borrowing from May sales. Once the economic recovery comes into full swing, housing markets will heat up. "If jobs come back as expected, the pace of home sales should pick up later this year," said Yun, "and reach a sustainable level of activity given very favorable affordability conditions." The question is when -- or if -- the job market will ever bounce back. "We're not creating jobs," said Larson. "The housing problems now are being driven by broad economic problems." Yesterday, the House pushed through a three month closing extension of the homebuyer tax credit. Tonight, the Senate unanimously approved the bill — leaving the President to ratify the provision by signing it into law, as early as tomorrow morning. "I thank my colleagues for joining me to pass this important extension and giving homebuyers in Nevada and around the country the opportunity to purchase their first home," said Sen Harry Reid (D-NV), in a statement following the bill's passage. "In addition to helping thousands of families experience the American dream, this successful and popular program provides a much needed boost to Nevada's housing market and economy." The deadline for the tax credit was midnight tonight but only if the mortgage went through, so with Obama's signature, it would have been possible that no contracts currently under offer — but unable to close — would fall through the cracks with the extended deadline. The Senate approved provision will give buyers until Sept. 30 to complete their purchases and qualify for tax credits of up to $8,000. If the President signs the bill into law tomorrow, it is unclear if the provision will apply retroactively to deals that close on Thursday, July 1. C-Span is a wonderful thing. 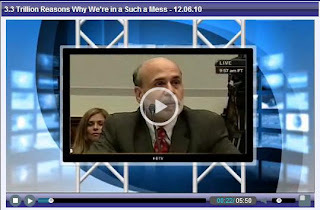 Just listen or watch - The House Oversight and Government Reform Committee hearings yesterday brought in some interesting statements from CEO's and Presidents of Bank of America, JP Morgan/Chase and others. As I reported in my article WALK AWAY FROM THE PROPERTY - STRATEGIC MORTGAGE DEFAULTS GROW TO 26%, that figure is now updated by the University of Chicago and Northwestern University researchers for the previous figures - a year later the strategic default rate is up another 10%! Why is this happening? Industry leaders blame the government programs. The HAMP program has 800 specific requirements for the borrower - 800 !!! No wonder it takes 4 to 6 months for a person to go from trial modification to permanent modification. Numbers for successful conversions under HAMP is running about 10% of trial modifications. What makes a borrower ineligible for HAMP or other (proprietary) modification programs of the lender? Testimony today said that government regulations of easy credit made the banks make loans to people that could not afford the mortgages they got - and this is now the end result - these borrowers still do not qualify even for a modification! A big reason for rejection - trial mod recipients don't pay the reduced payments or don't provide necessary documents. Modification requirements always now require real, as opposed to "stated", income revelations. Many borrowers don't give the required information on their "real" income to qualify for the modification. Why? Testimony suggested being afraid of the IRS, or being intimidated because of perhaps false documents in the beginning, are other reasons. I loved the comments from Rep Elijah Cummings - his staff sent documents on behalf of constituents to a lender and those documents got "lost" - several times! And he had proof that payments were made to the lender and the lender failed to acknowledge the payment even when the Congressman's staff showed the lender the cancelled check. When asked what is the solution - lenders said there needs to be a "dignified transition". What is THAT? A "dignified transition" is making homeowners into renters! " Not all homeowners should be owning a home". Well, I cannot disagree with that, but it just does not sit well. So they suggest that short sales be the "dignified solution". Maybe Washington is listening and even feeling the pain. Keep watching and tell your Washington representatives what you think needs to be done. Copyright 2010 Richard P. Zaretsky, Esq. The following is a list of the 161 homes in some stage of foreclosure in Lake Charleston, sorted alphabetically, by street. Animal House, Belushi and Housing? Stan Humphries, chief economist of Zillow: “Most consumers tend to be overly optimistic about what the future holds,”..."the housing recession is not over, prices are continuing to fall"..."We think the bottom is going to be a long and flat affair"...“Foreclosures are increasing and we will reach a peak in foreclosures later this year. These foreclosure rates won’t recede quickly. They’ll stay high.” ...referencing the recently expired tax credits, he said “We will see payback in July and August,”..."as long as unemployment is extremely high (8 percent to 10 percent, or higher), and large numbers of homeowners (23.3 percent) are underwater (almost 49% of all mortgage holders in Florida), foreclosures will stay high. Also, there are as many as 7 to 8 million housing units in the “shadow inventory,” many of which will turn into foreclosures as well... there are also 5.3 million “sideline sellers” just waiting to jump into the market and list their properties..."If you really want to know when the housing market will return to normal, the real estate experts and economics at my conference are talking about 2013 – or longer". This from the 'always optimistic' National Association of Realtors: Twice as many homes were added to the market as were sold in April, according to the National Association of Realtors...the housing inventory is back to where it was in 2009, which is lousy news for home price appreciation. Michael Fratantoni, the Mortgage Bankers Association’s vice president of research and economics: "Overall mortgage application volume, which includes loans for purchases and refinancings, dropped by 12.2 percent during the week ending June 4, compared with the previous week...“Purchase applications are now 35 percent below their level of four weeks ago, as homebuyers have not returned to the market following the expiration of the homebuyer tax credit at the end of April". James J. Saccacio, CEO of RealtyTrac: "The numbers in May continued and confirmed the trends we noticed in April: overall foreclosure activity leveling off while lenders work through the backlog of distressed properties that have built up over the past 20 months. Defaults and scheduled auctions combined increased by 28 percent from 2007 to 2008 and another 32 percent from 2008 to 2009 — creating a build-up of delayed bank repossessions. Lenders appear to be ramping up the pace of completing those forestalled foreclosures even while the inflow of delinquencies into the foreclosure process has slowed.” This is precisely the event that CNBC's Diana Olick was warning about a month ago. Housing is about to take fresh new turn lower. Michael Pento, Chief Economist for Delta Global Advisors: "We need to sell assets, and we need to allow the deleveraging process to consummate. We are going in a wrong direction and that's the double dip recession is virtually assured. 2008 taught us very clearly that decoupling is a dodo bird's philosophy. The US is headed down. You'll see home starts, permits, sales plummet in the next few months, that's going to add more supply to the housing market..."
14 sales in 30 days is a great rate of sales...but my outlook on continuing this pace is not that optimistic. This number (14 in 30 days) was clearly driven by the Homebuyer tax credits. If I annulize this rate of sales, that would translate to 168 sales/year. But, if we look back to the the trailing 12 months, there were a total of 75 sales, less than HALF of that rate. IMPORTANT: If you are having real estate agents in to give you their Market Analysis show, be certain that they fully understand, discuss, analyze and account for the tax credit impact. As always, thanks for taking the time to read our blog. What is everyone searching for? Recently there has been a ton of good news being reported in the real estate segment. Resale home sales were up huge...new home sales were up big too...every talking head is predicting the end of the housing slump. Not so fast. I have done some research regarding some little publicized web traffic statistics, and that tells us..The Rest Of The Story! 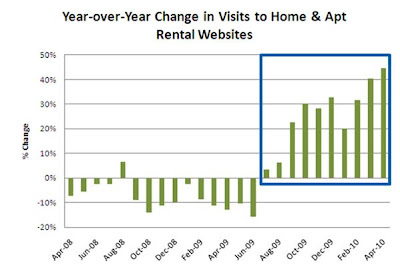 The above chart from Hitwise reports that visits to “Home and Apt Rental” websites are up 45% in April 2010 year-over-year, and that represents the tenth consecutive month of increases! 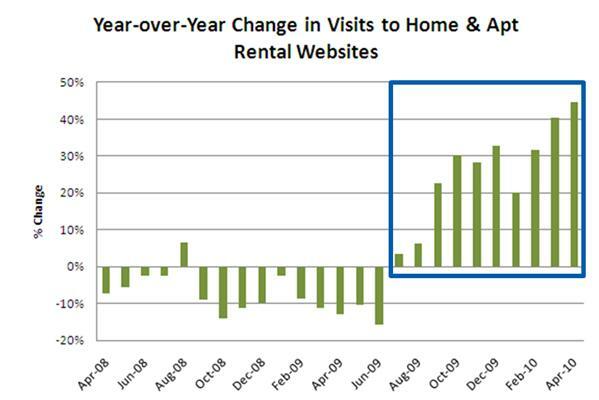 Finally, Hitwise reports: “The most popular term ranked by the overall share of search clicks is ‘apartments for rent’, which has increased 162% for the 4 weeks ending May 8, 2010 when compared to the same time period 2 years ago.” For the Home and Apt Rental websites, visits have increased year-over-year for the past 10 months. Now, every real estate agent will tell you that 90% or more of all homebuyers use the Internet during the home purchase process... So, a 22% decline for traffic to real estate sites, combined with 45% increase for rentals suggests that the market demand for housing sales might be a whole lot softer, and headed in a different direction, than widely reported economic data indicates. People will choose to rent for 2 main reasons...they can't buy a home or they don't want to buy a home. The state with the greatest percentage of people at least 30 days late on their mortgage is...FLORIDA! Over 1 out of every 4 people with a mortgage is 30 or more days behind. It is common knowledge that missing mortgage payments will deliver a pretty significant hit to ones credit score. And with the abject failure of the Govt. HAMP (loan modification) program, it is a fairly safe bet that a large number of people currently behind on their mortgage will end up eventually either losing their home in a foreclosure action or successfully completing a short sale (the much better alternative). In either case, these folks will not be purchasing a homeduring the next 2 years, or more. These are ones who can't buy a home. Then you have large segment who still believe that it is not a good time to buy..they are renters by choice, and their numbers are growing daily. Now, I personally know that many investors are plowing money into the real estate market, although they are very selective and are making decisions that factor in NO appreciation for 5 or more years. And, there are still buyers out there. They are balancing the historically low interest rates, low home prices and reduced competition against the chance that home values will decline further. But most of my buyers today have a long enough time horizon to give them the confidence that the combo of interest rate and home prices makes it a good time to buy. Any homeowners reading this who are considering moving in the next 24 months or so should seriously consider getting your home on the market sooner, rather than later. 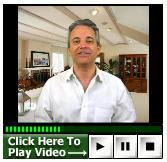 Sell, get you money in the bank now, and rent for a while if you need to. It may be a bit inconvenient, but it appears that this may be the smartest move. As of May 25th, there are 192 Lake Charleston homes in some stage of foreclosure. If you would like to discuss any particular foreclsoure or the current state of the market in general, please call or email me. Andt hanks for reading our blog! Tax credits and historically low mortgage rates have failed to lift home prices so far this year. Prices fell 0.5 percent in March from February, according to the Standard & Poor's/Case-Shiller 20-city index released Tuesday . The co-creator of the Case-Shiller index, who predicted in 2005 that the housing bubble would burst, is raising concerns that the worst may be ahead. That fear is shared by other economists who point to weak job growth, tight credit and many more foreclosures ahead. "I'm worried still about the risk of a double-dip," economist Robert Shiller said in an interview. The month-to-month drop from February to March marked the sixth straight decline. Prices in 13 of the cities fell. Only six metro areas recorded price gains. One, Boston, came in flat. In the first quarter of 2010, U.S. home prices fell 3.2 percent compared with the fourth quarter. RISMEDIA, May 13, 2010—With short sales making up almost 35% of home sales in March and the country with a national foreclosure problem, I Short Sale, Inc., one of the largest short sale firms in the U.S., sets the record straight on common short sale myths. 1. You must be default on your mortgage to negotiate a short sale. Short sales are not a function of default status on a mortgage. They are the result of the bank mitigating a potential default situation that, in the long run, will cost more money to the investors. We have completed many short sales in instances when the borrower was not in a default situation. 2. Listing my home as a short sale is embarrassing. Anytime we get ourselves into a tough financial situation it can cause some embarrassing feelings. It is important to remember that those feelings will not help us get back onto stable financial ground. We need to overcome our feelings and do what is right to protect our financial futures. 3. Buyers aren't interested in short sale properties. Short Sale properties are often times available at a competitive price to other properties on the market. In many cases, short sale properties are very well cared for and have not had to endure the deferred maintenance of a REO property. Short Sale properties are in great demand in the marketplace. 4. There's not enough time to negotiate a short sale before foreclosure. A good negotiator takes into account the timeline affiliated with a foreclosure. There is always a chance that a short sale can be negotiated. However, the only way to know for sure is to try. 5. The bank would rather foreclose than complete a short sale. Banks do not want to foreclose on property. It is expensive and carries a high level of liability once the bank owns that property as an REO. Wherever possible, banks are seeking other loss mitigation options before foreclosure. 6. Short sales are impossible and never get approved. Short sales are complicated, but not impossible. We negotiate short sale approvals every day. 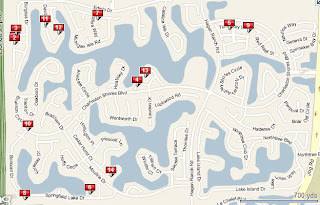 There are currently 19 homes on the market in Lake Charleston. They range in price from $140k on Burgess, to $370k on Thornlee. 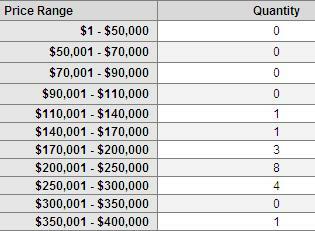 6 are being marketed as short sales. But, through lack of research or lack of expeirence she failed to give any concrete advice on how to judge if you are picking a good agent or a bad agent. The best advice is be diligent and careful when hiring an agent...you won't know you hired the wrong one until it is too late. Personally, I have seen sellers select an agent because (in their own words) "they send me postcards all the time". Others have selected neighbors, friends, church associates etc. as their agent with no other qualifying criteria. A recent development is the "mega agent" who advertises under their name but actually has less experienced "team members" handle just about all aspects of a transaction, all the time selling the client on how this is good for them. The "mega agent" doesn't meet with the client, doesn't write or negotiate the contracts, doesn't interact with the buyers agent and may not ever speak with the client...they are involved in the clients transaction in name only. While this is just my opinion and there may be no way to prove this, I would argue that the best agents occupy the "80th to 90th percentile" of a Bell Curve of relative real estate production. I say this because my years in the business have led me to believe that the absolute "top" agents in terms of total # of homes sold tend to be focused primarily on SALES and SELF-PROMOTION and most of the actual work is delegated to other individuals, while the agents just below that tend to be more client-centric and personally involved in the clients transaction. HAFA...all the benefits of a regular short sale...hafa the headaches! Monday, April 5th, was the 1st day, officially, of the new government sponsored intiative, HAFA: Home Affordable Foreclosure Alternatives. HAFA was introduced to simplify and streamline the short sale process and to provide incentives for the homeowner, loan servicer and lender/investor. How is the HAFA program different or better than what is being done now? The main problem, for both sellers and buyers, with traditional short sales was that they took too long and the process was wholly unpredictable. It was always difficult to keep buyers interested in, and committed to, the process. The HAFA program was designed to speed up and standardize the short sale process and give incentives for each short sale completed. During a non-HAFA short sale, there is no government incentive for banks to help you. Also, a VERY important benefit to homeowners is the requirement that participating lenders release you of any further libility for the deficiency amount! As a qualifying homeowner, you would be entitled to a $3000 "relocation" incentive payment at the time of closing and funding of your short sale. Do I have to hire a real estate professional for a HAFA short sale? Yes, but it won't cost you anything. Under HAFA, our fee will be deducted from the sale proceeds and paid by the lender. It is a requirement of a HAFA short sale that you work with a real estate professional throughout the HAFA short sale process. The Jackson Realty Group is now the areas HAFA specialists, having received the most up-to-date training available on the HAFA program. • Beware of anyone who asks you to pay a fee in exchange for counseling service or modification of a delinquent loan. • Scam artists often target homeowners who are struggling to meet their mortgage commitment or anxious to sell their homes. • Beware of people who pressure you to sign papers immediately, or who try to convince you that they can "save" your home if you sign paperwork or transfer over the deed to your house. • Never make a mortgage payment to anyone other than your mortgage company without their approval. • Do not sign over the deed to your property to any organization or individual unless you are working directly with your mortgage company to forgive your debt. If you would like to meet with me to discuss if you may qualify for this program and to review the process as well as your options, please call me at 561-602-1258 or CLICK HERE and send me an email with your contact information.